First of all, here’s a news that will interest all ebooks lovers out there! Have you heard or tried eBook Fling? According to PCMag.com, the site just launched today and they are calling themselves "the Netflix for books". It reminds me of Paperback Swap for eBooks. If you lend an eBook, you earn credits so you can borrow an eBook. Don't have any credits yet? They cost only $1.99. Check it out and if anyone has tried it, I am anxious to hear what you think. Amazing right? I subscribed, but couldn’t try it just yet because my kindle is low batt right now lol, but let me know what you think if you tried it! 1) Send you a signed, personalized, HOUNDED bookplate with any message that will fit (you’ll need to give me an address). If you buy multiple copies as gifts (Whoa! What a GREAT idea!) I’ll send you multiple signed bookplates—just tell me how many you need and who to make them out to! 2) I will pop open a beer, raise it high to attract the notice of the gods, and say, “Yon spiffy person, YOUR NAME, in YOUR HAPPY PLACE, is an excellent creature worthy of notice, good karma, and any benevolent juju you might otherwise see fit to bestow.” And then I’ll chug it in your honor. 3) I will hug my tree, pet my dog, and tell both of them how cool you are for pre-ordering. I promise. Thank you so much! All three of his books are available on Book Depository for only 5,99$ with Free Shipping to most countries. Doesn’t it sounds totally awesome? 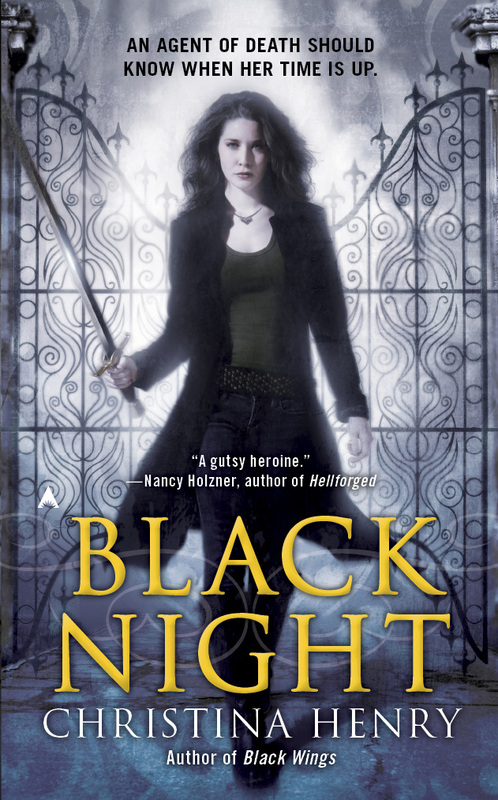 And last, here’s the cover of Black Night by Christina Henry, sequel of Black Wings, to be released in August 2011. B. 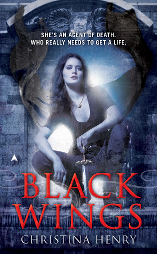 Those covers by Kevin Hearne are hot! Awesome post!!! Thank you for sharing Tynga! Ok, that is WAY rad! And wow - I am LOVING the model on the cover of those books!